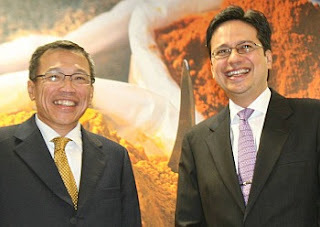 PwC Malaysia Senior Partner, Khoo Chuan Keat's affidavit shown below, is in response to the plaintiffs second attempt for discovery of documents and is little more than a lie to cover an earlier lie. Which 'learned solicitor' in Zulrafique and Partners told Khoo Chuan Keat that the correction has been done? 8. In respect of paragraph 9 of the Plaintiffs Supporting Affidavit, I am advised by the Defendants' solicitors and verily believe that what counsel said before the Honourable Court on 11.8.2011 was corrected and explained to this Honourable Court on 19.9.2011. Learned Chief Justice, please find the time to go through the video recordings and transcripts to see that the 'correction' was merely a statement that the counsel for the defendants has misconstrued his clients' instructions to the point where they cannot file an affidavit. Isn't this basically a false affidavit to cover for a previous lie? The defendants' counsel on 11.8.2011, said that the documents were found in a safe. On 19.9.2011 the counsel then said that he had misconstrued the clients' instructions to the point where they cannot file an affidavit, and they cannot answer when the documents were found, simply because the documents are a fabrication, and the counsel misconstruing the clients' instructions is a direct result of the fabrication. The correction Khoo Chuan Keat refers to was actually a purported explanation to the fabrication. Chin Kwai Fatt and Johan Raslan are fighting tooth and nail not to allow expert witnesses from a rival accounting firm to testify for the plaintiffs. Khoo Chuan Keat who signed the affidavit in reply was not even in court when the defendants counsel made the 'correction'. 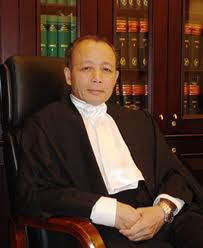 Why didn't Johan Raslan who was in the gallery, or Chin Kwai Fatt and VU Kumar who were there at the counsels' table, correct the counsel during the day counsel 'misconstrued' his clients instructions? Counsel 'misconstrued' around 8.30 am, and these three Senior Partners had the morning tea break, lunch and the afternoon tea break to tell their counsel to stop 'misconstruing' their instructions, but yet they didn't....?